As if following the plot of one the adventure romances she writes, bestselling author Joan Wilder (Kathleen Turner) heads to Colombia to swap a treasure map sent to her by her now-dead brother-in-law for her kidnapped sister. However, she is misled by an evil military guy and ends up going in the wrong direction. Saved from the baddie by Jack T. Colton (Michael Douglas), she enlists his help, and before long, they are searching for the treasure themselves. But with everyone after them, including Danny DeVito (though I must admit, the reason for his character in the film was very much little more than comic relief). This is such a great eighties’ comedy. It’s very funny through excellent writing and good performances, and gee is it good to see a romance in a film that starts with two characters hating each other that resolves with them both deeply in love – so often, the man is stoical and manly and barely acknowledges his feelings, but Michael Douglas got to play a man in love, with sparkles in his eyes and a smile he could not wipe from his face. 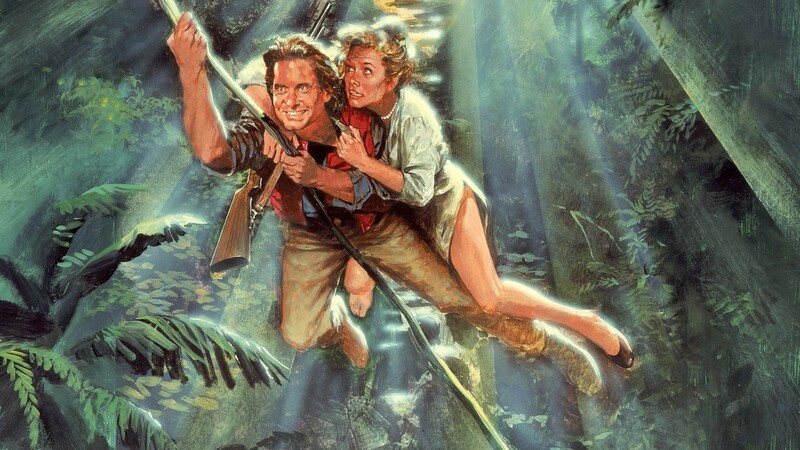 Romancing The Stone was nominated for an Oscar for Best Film Editing.